Manchester United’s pursuit of Gareth Bale appears to be heading in a positive direction, with reports stating the Welshman could finally seek a move to Old Trafford in the summer of 2018. Jose Mourinho is a big fan of Bale, and tried to land him in the summer of 2017, only to be brushed away by Real Madrid. The forward has suffered an injury-raven spell at the Santiago Bernabeu this season, and it is understood that the European champions are comfortable with offloading the versatile winger. And that brings United in the scene again. According to a report in Spanish outlet Don Balon, Bale has been Jose’s No. 1 priority, which has opened doors for Barcelona to sign Antoine Griezmann from Atletico Madrid. The Spanish league leaders have been linked with a move for Griezmann since quite some time, and United’s pursuit of Bale has opened the doors for them to land their chief priority. Manchester United were also linked with a move for Griezmann, but the Frenchman signed a new deal at Atletico after the club was banned from making any transfers by the Court of Arbitration for Sport. 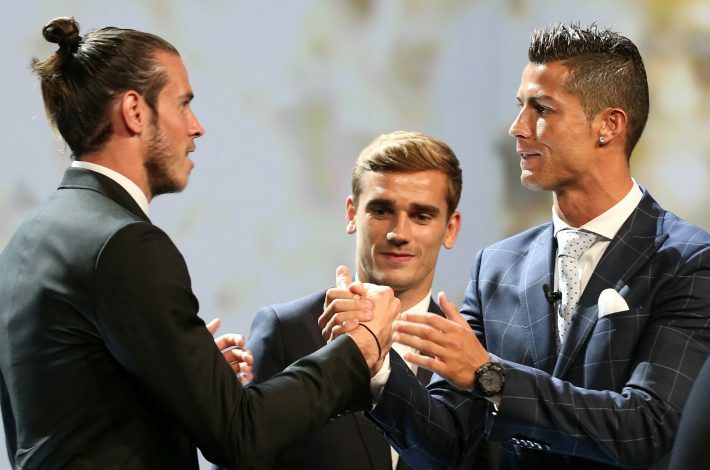 Therefore, the Red Devils have instead switched their attention to Bale, since the player is more likely to join them as compared to Griezmann. The Old Trafford giants want to add some star players into the squad, as Jose intends to aim for the domestic title in his third year incharge, and challenge Pep Guardiola’s Manchester City. United have plenty of options in their attacking line, but despite the plethora of stars, Jose feels Bale could be the perfect acquisition, and be part of a three-man attack alongside Romelu Lukaku and Alexis Sanchez.